Archaeological Survey of India (ASI) under the Ministry of Culture, Government of India was established in the year 1861. It is the premier institution in India concentrating on archaeological researches, explorations, excavations and protection and preservation of monuments and sites of national importance. The functions of ASI are as per the provisions of  Ancient Monuments and Archaeological Sites and Remains Act, 1958,  Rules, 1959 and  Ancient Monuments and Archaeological Sites and Remains (Amendment and Validation) Act, 2010. The ASI regulates the export trade of non-antiquities through the provisions of  Antiquities and Art Treasure Act, 1972 and  Rules, 1973. Chennai Circle, formerly called Southern Circle covering the whole area of the then Madras Presidency was established in the year 1881. 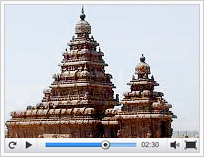 The national monuments under the jurisdiction of Chennai Circle in the State of Tamil Nadu and the Union Territory of Puducherry belong to the dynasties of Cholas, Pandyas, Pallavas, Mutharayars, Nayakas, Arcot Nawabs, British, Dutch etc. 12th April, 2017Dr. A.M.V. Subramanyam, Suptdg. Archaeologist has taken charge of Chennai Circle, Chennai. © Official website of ASI, Chennai Circle.